If using Microsoft’s MPIO, you can use their mpclaim utility from a command line or their GUI for doing all the setup. The following assumes you are using Microsoft MPIO and an EMC VNX storage array. There are only slight variations for other combinations. From a command prompt, issue the command “mpclaim -h” to see the currect storage devices claimed by MS MPIO. With a VNX you should see something like “Vendor 8Product 16″. Looking at the MPIO Devices tab in the GUI will show the same information. From a command prompt, issue the command “mpclaim -s -d” and you should see that there are no disk present yet, as you haven’t allowed any. From a command prompt, issue the command “mpclaim -e” to display the vendor product ID string for the connected storage array. Depending on how your VNX is configured, you will see something like this “DGC VRAID”. There are exactly five (5) spaces after “DGC” and you must have exactly five spaces in the ID. Now you can add the multipath support for the speicifc IDs you want. Obviously you will want whatever you saw in the previous step, but in case you plan on using some other configurations, you can add everything from the list from above. From a command prompt enter the command “mpclaim -n -i -d “DGC VRAID”. The “-n” switch suppresses the automatic reboot. Repeat that commnd for each all device IDs desired. From a command prompt, issue the command “mpclaim -s -d” and you should see the disks claimed by MPIO on the node. Again, you can use the GUI for all this, too. Sometimes, you just want to capture the packets associated with a particular wireless client and see what the heck is going on with that client. Often, it may not be practical to do an over-the-air packet capture, as perhaps the client is at a remote location or just just don’t have access to a wireless capture card. I recently had an issue trying to understand why an Android device that I was trying to ‘on-board’ using Cisco’s ISE wouldn’t access the Google Play store. I desperately wanted to capture the over-the-air frames from the client to have a look at what the client was doing. After a quick ‘Google’ around, I found an intriguing set of Cisco WLC CLI commands that allow a packet capture of traffic for a wireless client. This can all be done without having to change the AP mode, or reboot the AP etc. In summary, the feature allows packets to be captured for a specified wireless client that is sending/receiving traffic to/from an AP. The AP will continue to process all user traffic as per usual, with the target client frames being streamed to an FTP server for a specified period. The resultant capture file is in standard pcap format that can be opened with Wireshark (amongst others). I have couples of 3750 and Nexus 5K connected to 2 Nexus 7010. The N7Ks run in VPC mode. I have a Multicast source and multiple multicast receivers, they are on the same VLAN. This VLAN is only a Layer 2 VLAN. The issue is, only the receivers that are on the same access switch with the source receive the traffic. 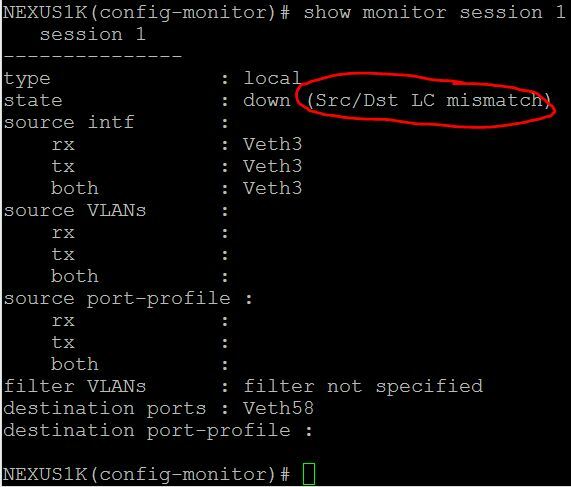 If the receivers are on difference access switch, they don’t see the IGMP Join Group packet. A bit of digging around, I found out the reason, is that the other switches does not have an mrouter port and does not know about the source. 3. Turn off IGMP snooping on ALL switches.